So it has been a long time since I last posted. I have been busy traveling and working on projects for school. I am happy to share that one projedt is about done. My senior design project has evolved a bit. DaNI is now sporting a wireless access point and a distance sensor on the arm and a gripper open/close sensor. Check out the image. I will have a video on Wednesday night! Oh and you can see it in person at NIWeek! NI DaNI Gets Some New Eyes! We are entering the final stages of robot assembly and test. Last week, DaNI got a line following sensor from Parallax. This sensor is much like the Mindsensors Line Leader for LEGO MINDSTORMS. It has 8 IR light sensors that see the difference between the ground a line. We have a PID loop running on the FPGA on the NI Single-Board RIO to control out line following. Basically a PID loop helps us correct for not following the line correctly by using the error of our sensor measurements to determine which direction we need to move. To learn more about PID, wikipedia has a great article! Also, Jason, one of my teammates, has finished the Inverse Kinematics for the arm. I have integrated the arm control into the motor drive train. The arm is scheduled to be mounted by Monday. After that we just need to physically validate our software drive model and we are done! Check out our video below! My Senior Design Project at Rose-Hulman is integrating a kinematic robotic arm on the National Instruments Robotics Starter Kit (DaNI). 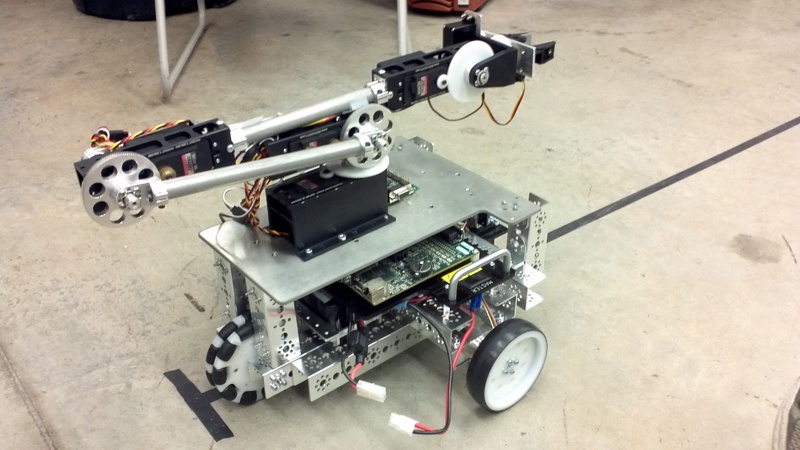 DaNI is small mobile robotics platform based on NI SingleBoardRIO and Tetrix. We are working with the arm and DaNI as two separate systems right now and plan to integrate it in December. We spent the last few weeks working on constructing and controlling the arm. All software done in LabVIEW! Check out the video below to see our progress! While my summer in Austin has come to an end, I am bringing a few new things back to Rose-Hulman. At NIWeek, NI introduced us to the concept of mini systems for the myDAQ. This takes complex engineering problems and places them on a small add on board for the popular device. I wanted to bring one back for Rose-Hulman. 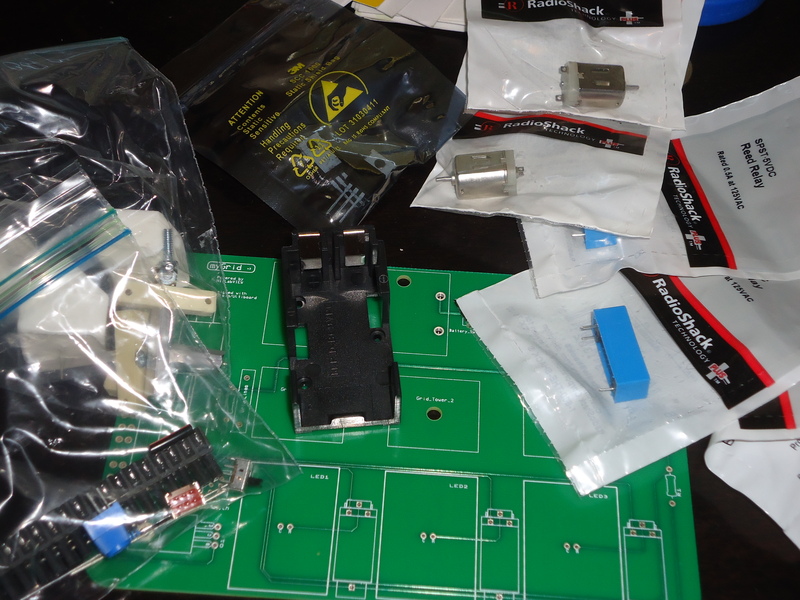 What you see here is the myGRID kit, yet to be assembled. The myGRID allows students to explore power engineering and an introduction to smart grid technology. The board plugs into the side of the myDAQ. Students can write control software in LabVIEW to power the houses and manage the power from the solar array and generator. For more information on the myDAQ and myGRID check out ni.com/mydaqzone. Day 1 of NIWeek has come to an end. While I have been way busier than I planned (which is a good thing), I have a lot to share. So here is the 90 second tour (in case you were not one of the 3,300+ engineers and scientists present)! Expo Floor: NI is famous for its interactive demos. This year the Expo Floor featured a bunch of new demos. From a water drop 8 x 8 pixel image generator to some robots that can cover any terrain, the floor was exciting to say the least. The LabVIEW Zone featured the new LabVIEW for LEGO MINDSTORMS, the LEGO MINDSTORMS Space Shuttle, Angry Eagles (an Angry Birds like game), robots from Virgina Tech, and the Hermes Space Shuttle. All of which showed cool new ways to use LabVIEW and get the community excited about the different products. 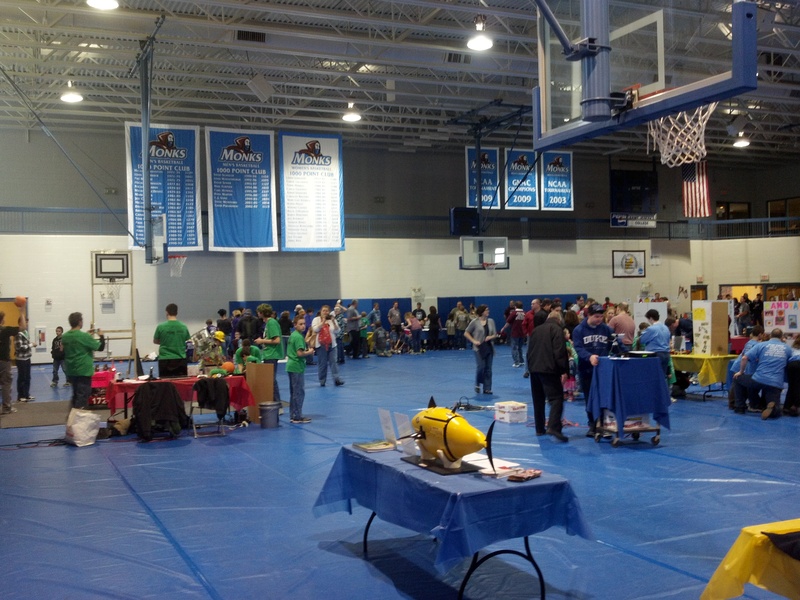 Of course there were over 100 different booths from companies showing off their latest projects. From exploring FPGAs at Xilinx to the latest MSP430 MCUs at TI, visitors got a front row seat to some amazing technology. I will be sure to share some pictures tomorrow and show off the cool stuff that is NIWeek. If you are in Central Texas, you can stop by the Austin Convention Center and see some of this stuff for yourself. Check out ni.com/niweek for more details! Technical Sessions: The bread and butter of NIWeek is the hands on and technical sessions presented by NI and its partners. With sessions ranging from LEGO to CERN, there was something for everyone. While I did not get to catch more than a few minutes of any one session during my hectic day, the quality and community engagement in the discussions blew my mind. The theme of NIWeek last year was “Its Time for Innovation” and the discussion I witnessed and the projects people are doing with NI hardware truly is inspring. Graphical System Design Achievement Awards: Like watching the fireworks at Walt Disney World, NI bids its innovators good night by recognizing their outstanding projects. Over the past year, companies,students and researchers submit their cool engineering projects (using NI products) to be considered for an award. The submissions are then voted on and finalists are selected. Tonight those finalists got recognized. With projects ranging from robots to stopping atoms to automated silicon testing, this event celebrated the innovation National Instruments is know for. 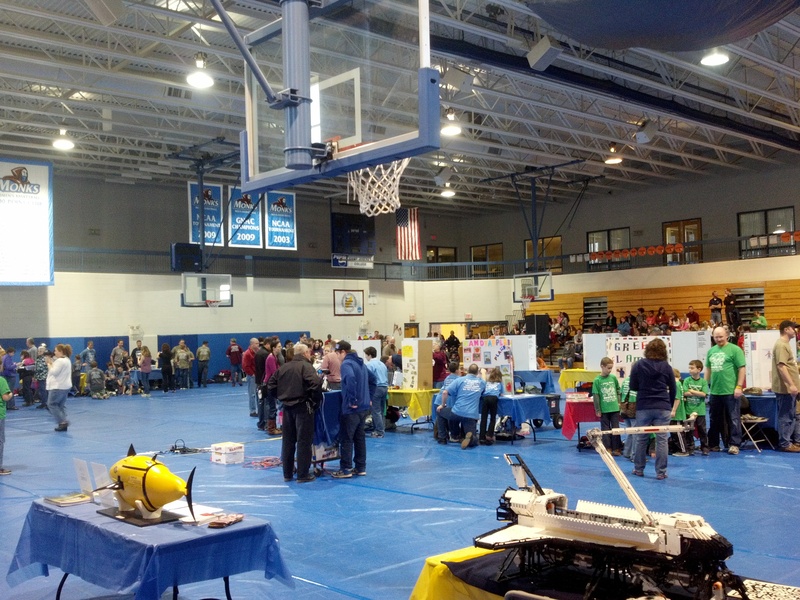 The event was attened by several engineering big shots. Just a few of these people include Dr. James Truchard (CEO of National Instrumets), Jeff Kodosky (the Father of LabVIEW), the Editor of Popular Science Magazine, the Editor of EE Times, the Vice President of Marketing for Xilinx, just to name a few. Also in attendance were a few GSDAA Alumi. Keynote: I already touched on this already, but lets just say it was amazing as usual. With cool designs in RF and test, it is something you should definitely check out later at ni.com/niweek. So there is the brief. Tomorrow I will be sure to post more.